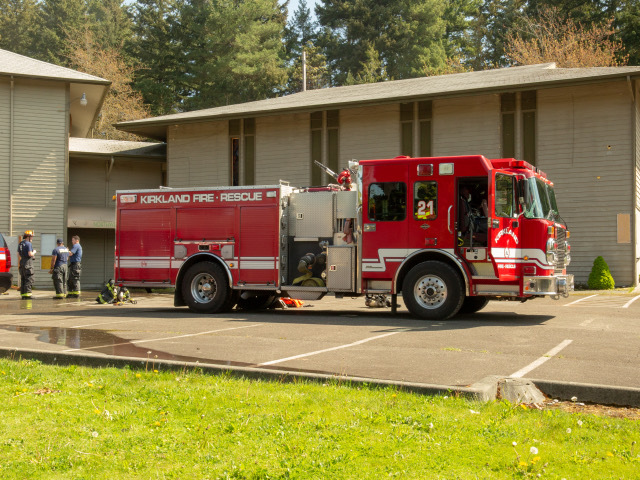 The North City water district, which provides water to east Shoreline and west Lake Forest Park, will be constructing a new maintenance facility at property they purchased at 15555 15th Ave NE in Shoreline from the Northwest Church. 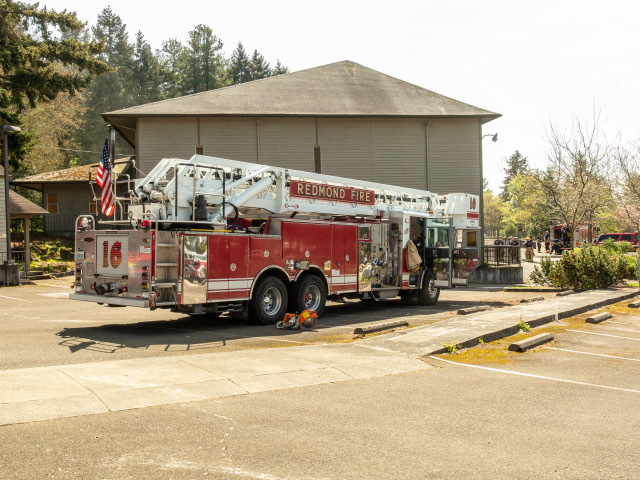 In the meantime, fire departments from around Lake Washington are relishing the opportunity to train in real buildings. On many days, as you drive by on 15th NE, you can see fire rigs. 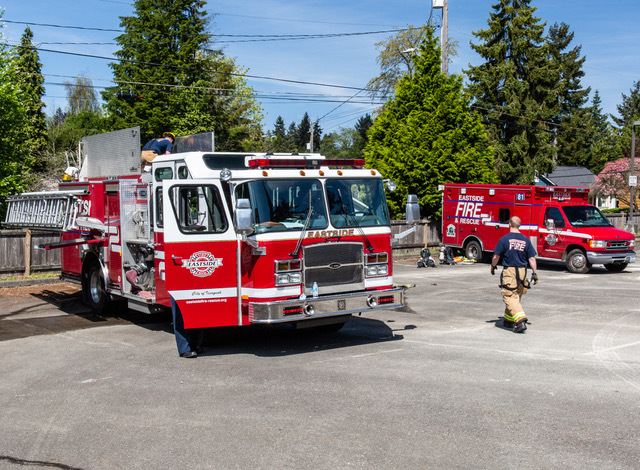 What you may not realize is that those red trucks are from many different departments. 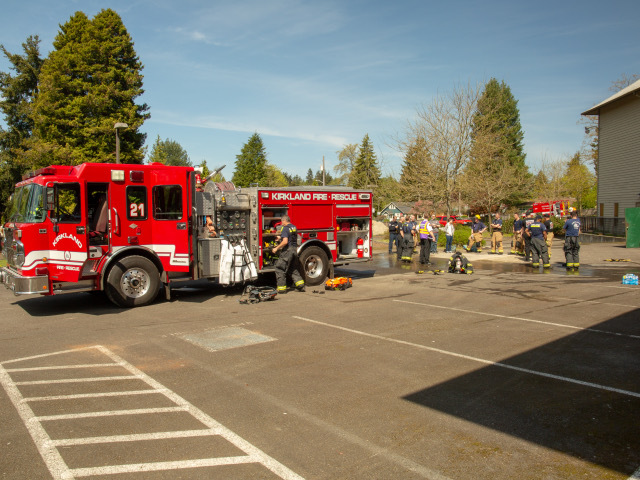 This day it was Eastside, Kirkland, and Redmond. Other days it will be Shoreline and Northshore. They are all getting in as much time as they can before the buildings are demolished.